✅ Trip Verified | The worst security experience I have ever had in many years of frequent travel. 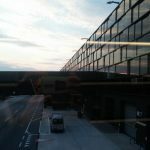 After arriving at the gate for an Austrian Airlines connecting flight to IAD Dulles, many of us were marked for extra security, and taken to a separate area across the hall. 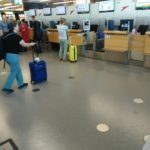 Here we stood in line for about 15 minutes while each passenger was required to unpack everything from their hand luggage into bins, down to the mints and loose change, remove all electronic devices into a separate bin, take phones out of cradles, disconnect all charger parts. The staff involved were brusque, impatient and clearly unsympathetic during this rigamarole. It had a definitely punitive or payback quality to the process. In addition, there was no clear system for queuing at the gate, and no marked areas for lining up to board. No helpful PA announcements that I could hear. Total chaos. Only four stalls in the ladies room meant a long line out into the gate area. Hope never to go through this airport again. Not Verified | This airport was designed by someone that has never travelled or someone that wants to make people uncomfortable. When we were departing, Duty Free and many other shops were found before passing through security. They have a machine that supposedly checks that you have a boarding pass and you should pass to the security line. At the security line they just ask for your boarding pass, and do not compare it with your identification. This means anyone can just go through. I had a bit of trouble getting it so quickly because it was on an application and there were three of us traveling. They wasted a lot of my time for nothing, because the check was irrelevent being that there was a machine that already did it. The security guards verify what they ask of whom, some people have to have their liquids out, and some do not. Depends on their mood. Once you go through the hassle of the rudesest and most ridiculous security, there isn't anything do on the B level. You need to go upstairs to get a cup of coffee, which is a waste of time if you are limited to it because of a flight. 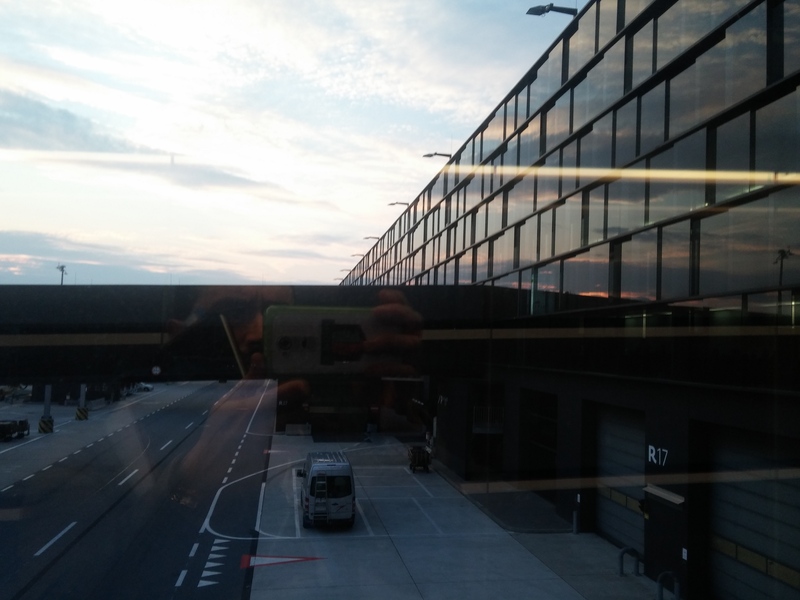 I am not sure if this is the worst airport I have been to, but very close to it. 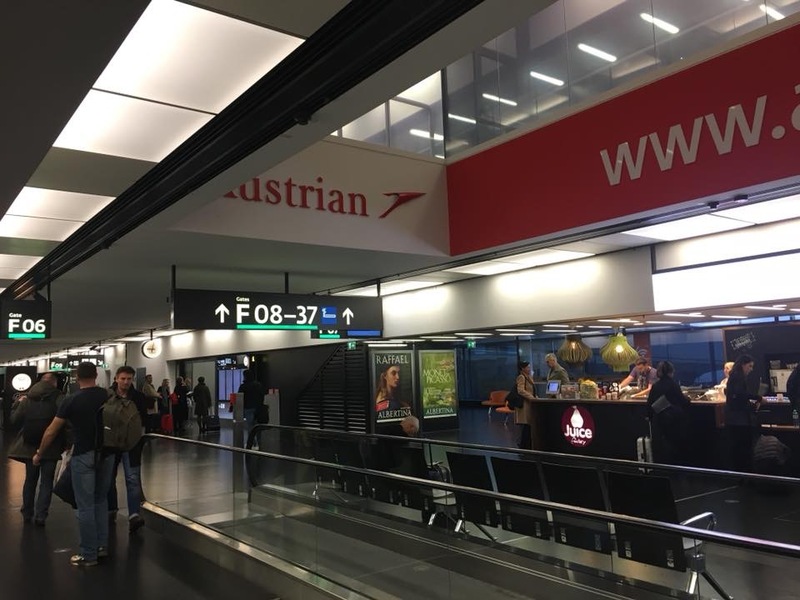 Not Verified | I am visiting Vienna airport often as a middle station for my final destination. One of my favourites. Specific place for smokers in the terminal. Comfortable seats. Easy to move around. Reasonable prices for food and coffee. Not Verified | Horrible airport. Not enough seats at the terminals for flights so half the plane was standing. Not enough restrooms, they each only have 3 toilets, there was always a line for both the Male and Female ones. In addition, at least one stall in each one I went to was clogged/overflowing/out of service. Will not choose to fly through there again. "you can barely find anything"
Not Verified | The whole airport is a maze and you can barely find anything. The tax free shop with all the food and drinks is before the security check which basically means you can’t buy anything from there. The security check was okay, but the gate itself is a complete mess. There’s nothing to do and there are absolutely no stores where you can buy actual food. Also the staff are rude. 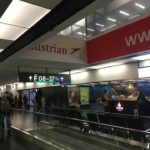 "A disappointment every single time"
Not Verified | Vienna Airport is one of the most annoying and worst organised airports I have ever been too. A disappointment every single time I fly from here. No proper seating areas. You have to go to Gate where the security check happens. You can't prepare fluids or stuff beforehand because there is no area to do so. You are queuing forever and the have to rush and find a plastic bag and prepare everything when you are up to go through security. After you are through, you might sit for 5 mins, if you find a spot, or you just continue queuing again because now they are boarding and checking the passes again. To summarise, get prepared to queue and queue and queue. If you don't want to wait in the queue before security, you can't sit down. No proper seating area anywhere, except that very overpriced and odd restaurant called 'Johann Strauss' but then you have to consume something, otherwise you can't sit here. I am still young and healthy but this surely might be an issue for elderly or someone who can't just be on their feet for such a long time. Also, the set up of the airport is just odd. I am flying to London a lot and have to get to go outside and then in and around the corner - it's a confusing and odd set up. One wonders what's has been done with the outrageous sums of money they had spent years ago. To give an indicator. I queued for security about 25 mins. That's just people who go on 1 flight. Not everyone. "never been so annoyed by an airport before"
✅ Trip Verified | Worst airport I’ve ever used for departure. Security is at the gate - can’t judge time for lounge, coffee etc, can’t buy a water bottle. Ridiculous amount of time to drop bags for business class, not sure how much of that can be blamed on the airline, but they’re fine at other airports. Boarding pass scanners don’t work, staff member on duty was extremely rude for no reason at all rather than say, just apologising (I didn’t say a word). When you reach the gate the facilites are the kind of thing you’d expect in a tiny regional airport. Lounge at least is quiet and pleasant but poorly signed. Won’t ever be coming here again, unless by train. Horrible. Never written a review before but never been so annoyed by an airport before. ✅ Trip Verified | Very bad airport considering it is for a Capital city. Inadequate services airside (i.e a couple of vending machines, one water fountain and one WC). What there is of services is before security which is at the gates. This doesn't work it causes too much hassle you want to be able to complete checks then have a coffee or snack while waiting, here you can't. Learn from other airports like Schipol and put security where it should be! ✅ Trip Verified | Absolutely a horrible experience! Totally unorganized and unprepared for the inctrased number of passengers travelling at this time if the year. No delimited queues created for the security check, resulting in people staying unorganized, in a big mass and incredibly long waiting times. The majority of the flights are delayed Today, 22nd of December, but there are absolutely no information given by any of the staff. 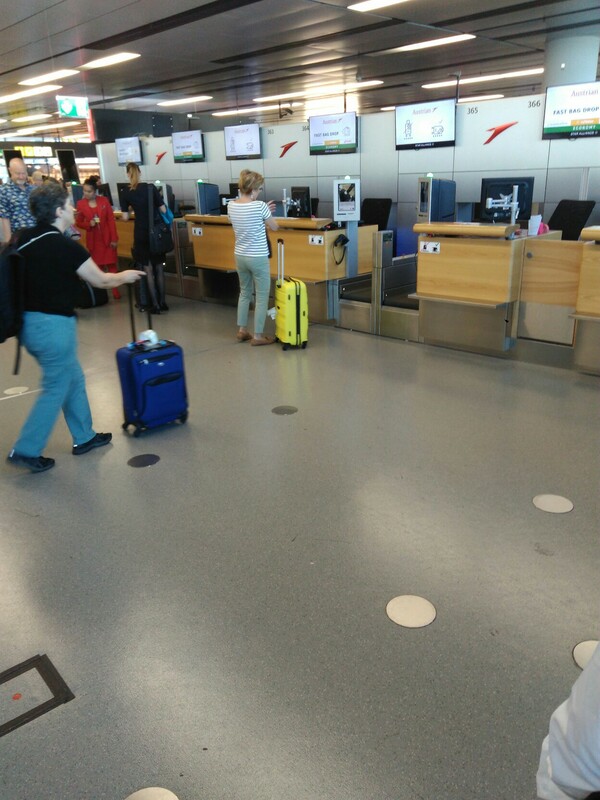 "my experience with it was awful"
Not Verified | Today I was departing from Vienna International Airport. I fully acknowledge the necessity and importance of luggage control, but unfortunately, my experience with it was awful. After scanning my hand luggage I was asked to open it and, since it is a holiday season, I was carrying several presents with me. Everything got turned upside down into a complete mess and one of the packaged presents especially did not appeal to the ladies. They ripped the gift paper and told me to open the taped package myself, since 'they had fancy nails'. I asked them to give me scissors at least, to which they got annoyed, took my bag of liquids with cosmetics and dumped everything from the straight hands' height to the table. One of them took a bottle of hand cream and tried to cut the tape with its sharp end, did not manage to do so and out of anger said 'Sch**se' and threw it to the floor. Eventually, they managed to open it, did not find anything suspicious and obviously made me pack everything back together and asked me to take my 'trash' (ripped gift paper) with me.